Daniel Wu wears vintage Ray-Ban Olympian sunglasses in the tv series Into The Badlands. 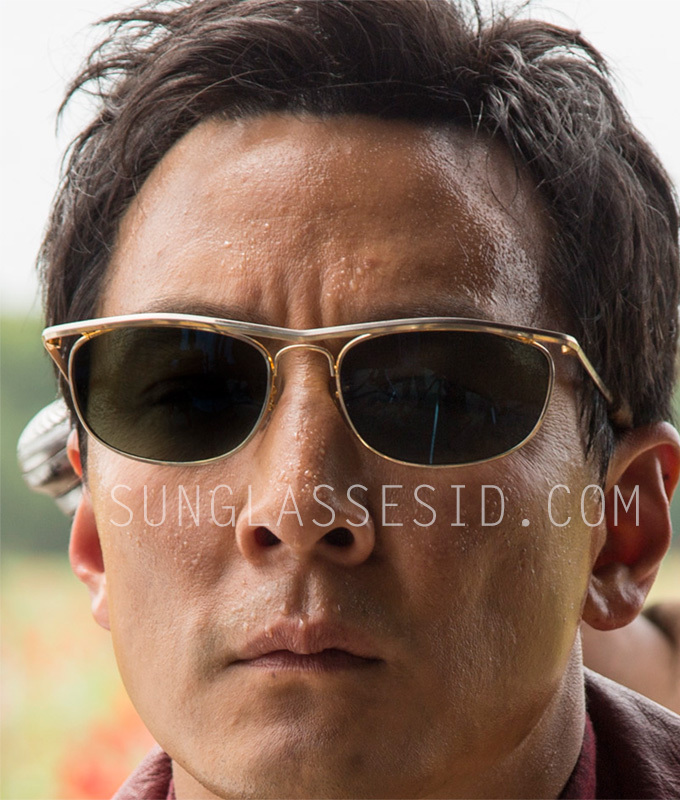 Daniel Wu wears vintage looking Ray-Ban Olympian sunglasses in the tv series Into The Badlands. The glasses were provided to the series by Old Focals (visit website), a company that provides vintage eyewear to films and tv series, so these glasses in the series are probably the Old Focals Drapers (which are currently sold out due to high demand after being worn by Don Draper in the tv series Mad Mad season 6). The Old Focals Drapers are a replica of the original Ray-Ban Olympian model with gold frame. Find the latest Ray-Ban RB3119 Olympian model on SmartBuyGlasses, Amazon, eBay or FramesDirect.